Own a Windows Phone? Own a car? If the answer to both is yes, then you need a car charger. If you want your car charger to stand out from the typical coiled chargers, take a look at the TYLT Band Car Charger. 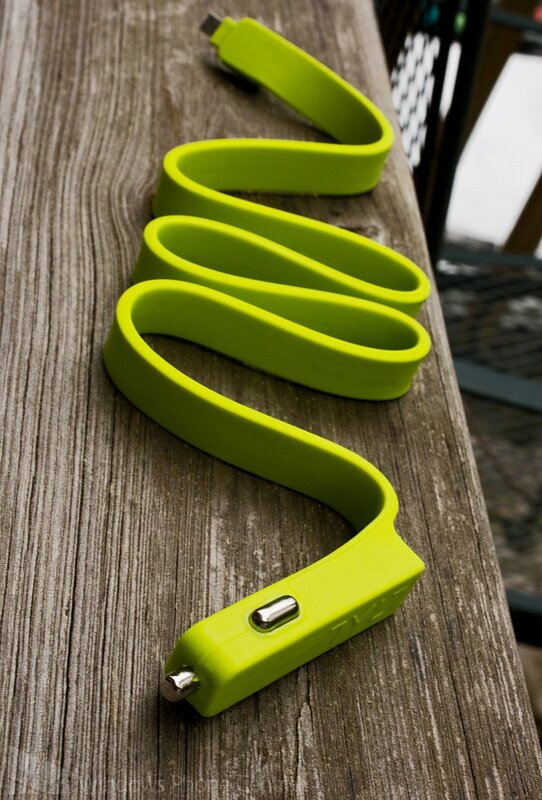 The TYLT uses a half inch wide flat band instead of the traditional coiled, springy cord you'd find on most chargers. 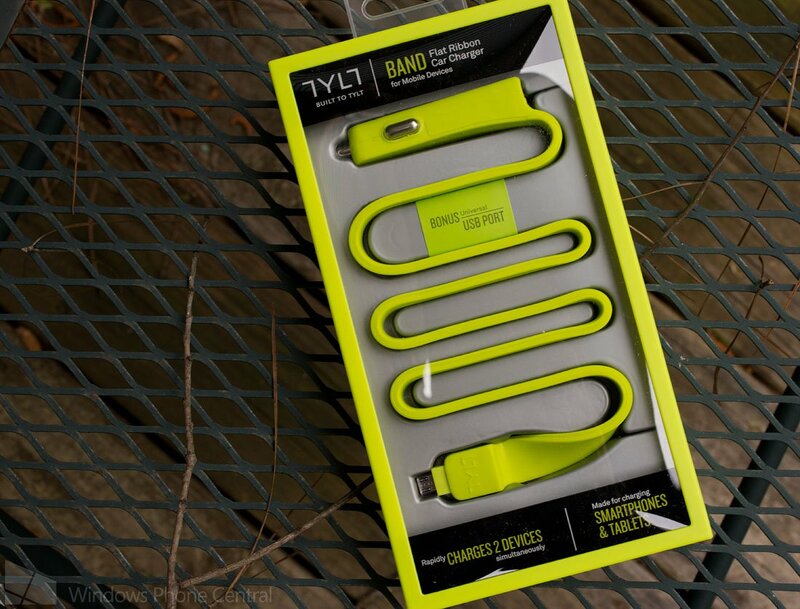 To add to the TYLT's ability to stand out, the charger comes in four colors. 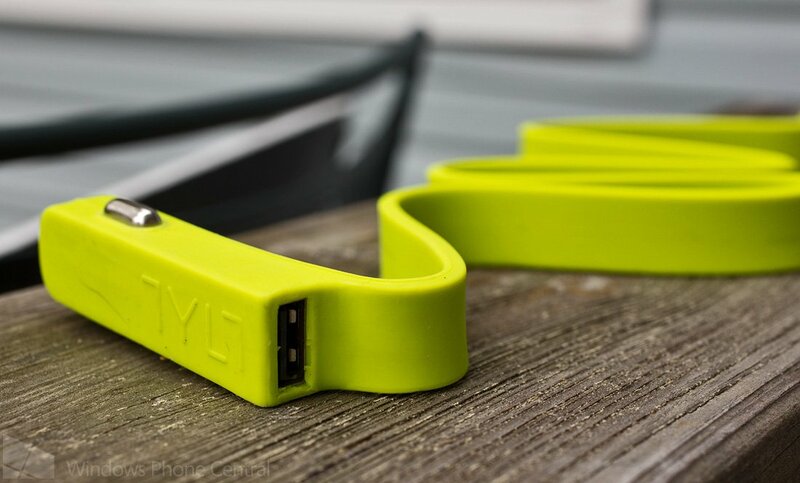 Stretched out, the TYLT is two feet long and has an additional USB port at the top of the charger plug to accommodate another device. The micro-USB connector snaps in place nicely with both the Nokia Lumia 920 and HTC 8X. It also works fine with other devices using the micro-USB port. What's the downside to the TYLT? Price, length and storage may be issues for some. The TYLT is a bit on the pricey side at $34.95 and at two feet in length is a little shorter than the twisty, coiled chargers. The storage issue is that you'll need a rubber band to keep the TYLT compact and not sprawled all over your glove box. On the plus side, if you opt for a neon color, the TYLT is doesn't hide so easy in a glove box as the black coiled chargers do. As far as functionality is concerned, the TYLT performed just as any other car charger would. It is nice to have the extra USB port to allow for charging multiple devices. If you're looking for something different for your car charging needs, the TYLT Band Car Charger might be worth considering. It comes in black, blue, red and green and is currently running $34.95. You can find it all here in the Windows Phone Central Store.